With the world’s biggest rock AND largest monolith*, Australia’s the land of the ultimate ROCK – or at least the coolest Australian rock formations! But where’s a keen rockhound to go once they’ve seen Mt Augustus (biggest rock) and Uluru (biggest monolith)?? Check out a few more Australian Rock Stars – otherwise known as distinctive and unusual Australian rock formations – with this handy guide to 12 HOTTEST Rock spots from all around OZ! This 750m x 500m monolith around 25 north of Tenterfield in New South Wales’ Granite Belt isn’t Australia’s largest monolith. But it’s Australia’s largest GRANITE monolith!! Thrill seekers and the time-poor can take the short, steep exposed route straight up the face to the summit – 200 metres above the surrounding plains. Those wanting a more relaxing experience (read: more cowardly) can take the longer, more scenic route through the bushland up the back. Either way, the exposed summit has spectacular views over two states – and a spectacular drop down to the bottom! Australia’s 3rd largest island – an intriguing blend of superb natural attractions, wildlife, gourmet treats and beaches – is South Australia’s answer to the tropics. But whatever their reasons for visiting Kangaroo Island, sooner or later, most visitors head for the all-natural Remarkable Rocks – where they’ll take a photo remarkably like the one above! I’ve still got the cool Serpentine (I think) egg I bought from a Chillagoe shop on my only visit 20+ years ago, but it’s Balancing Rock and the Chillagoe-Mungana Caves National Park tour I remember. Outside, the dramatic jagged edges of the reef housing the caves tower above the classic outback landscape. It’s just as dramatic inside – a separate, subterranean world of limestone in intriguing formations, weathered caverns and towering columns. 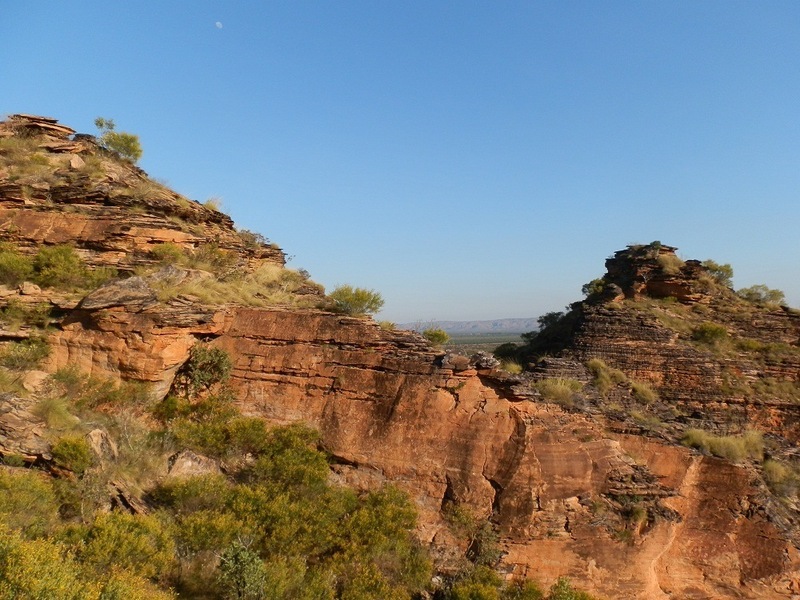 Back outside and the self-guided walks to the historic smelter sites, Aboriginal rock art are interesting, but it’s the amazing Balancing Rock that’ll get you snapping! I’m such a sucker for names that when I heard about an attraction in a place called Pirates Bay near the township of Eaglehawk Neck on the Tasman Peninsula, it didn’t matter what it was. I just HAD to go see Tasmania’s Tessellated Pavement – one of the best known examples*** of this complex geological phenomenon involving rock fractures, polygonal blocks, erosion and sea salts. If you’re not a geologist, this is probably enough information. If you ARE a geologist, then you’ll already know WAY more than this! At low tide, the tessellations (like mosaic tiles) make an interesting patchwork on the flat rock platform just above the water level. But make sure your cool pavement shot isn’t ruined by slipping on the wet rocks! Tiny Mirima National Park on the outskirts of Kimberley town Kununurra, with its wildlife, walks and wheelchair access, is a chance to experience the MUCH bigger West OZ attraction Purnululu (aka Bungle Bungles) in miniature. I HOPE it’s a Python! Formed by the same process as its larger counterpart, Mirima’s sedimentary rock layers glow in the early morning and late evening light. And with the right angle of perspective and the right level of concentration, a more skilled photograper than I could ALMOST convince viewers that the shots were taken elsewhere! But I had no time for photographic trickery – I was more interested in avoiding the 3 metre snake! Snapping a killer sunset or sunrise in what is arguably Australia’s most intriguing rock pile without other people in your shot can be a challenge! But the complicated geological theory involving weathered layers of sandstone and granite that’s the standard scientific explanation for the almost perfectly spherical shapes doesn’t quite do justice to the magical setting and extraordinary light. So forget the ‘facts’, settle back, and drink in the magic of Karlu Karlu with the story of the Rainbow Serpent. According to this Indigenous legend, those spherical shapes are the Rainbow Serpent’s fossilized eggs! Now … isn’t that a FAR more satisfying explanation for this geological phenomenon? According to the tourist information brochure, Island Rock, one of the more spectacular of Kalbarri National Park’s Coastal Cliff attractions, ‘can be enjoyed from the safety of the lookout enclosures’! 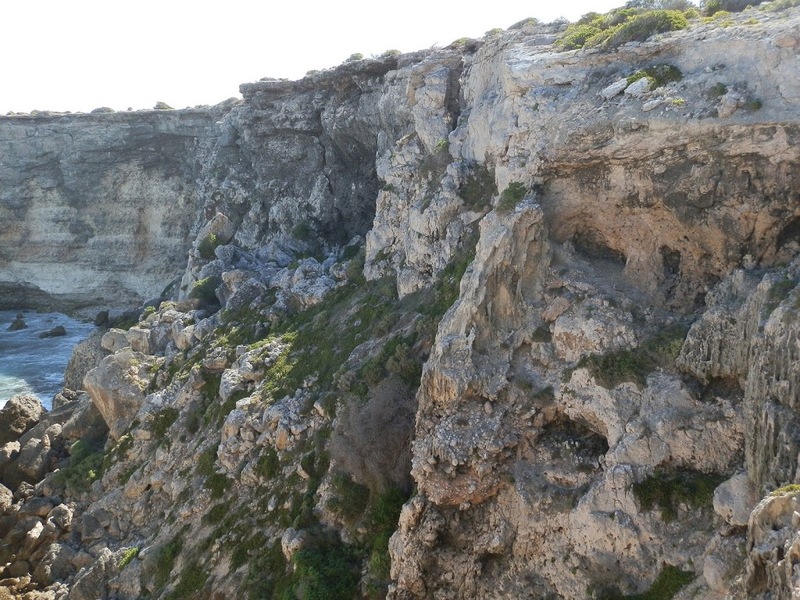 But it doesn’t explain how safely walk the coastal trail atop the sandstone cliffs so high above the pounding sea below it’s almost impossible to fit them into a photo! Perhaps that’s why many tourists opt for a visit to the park’s best known rock formation, Natures Window!! If you can tear your eyes away from Island Rock and the amazing sculpted cliff face, so treacherous to ships and bumblefooted tourists, you may be lucky enough to see whales far out to sea. 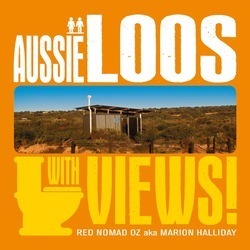 But if the sheer drop gives you vertigo, turn and face inland – and you’ll see one of Australia’s most scenic loos**! It’s an easy walk from the car park to the dramatic Sawn Rocks – Australia’s best example of the columnar jointing phenomenon more commonly called organ piping located a few kilometres from Narrabri in the shadow of Mt Kaputar National Park. Best viewed in the morning when the sun (if it’s out!) strikes the rock face, bringing out the amazing colours and shadows. Standing underneath the soaring rock face can be awe-inspiring – until you realise that those enormous Greek temple ruinous rock columns all around can only have come from one place. But I’m betting even the most jaded rockhound couldn’t fail to be impressed by Hollow Mountain, in the Northern Grampians. Exploring the wind-sculpted caves, caverns and crags can actually be more fun than reaching the summit! And I’m not just saying that because I’m exercise-averse! No, REALLY!! For pure rock star awesomeness, there’s not much to beat the 552m high spire of the world’s largest volcanic rock stack, out in the middle of the ocean and one of the only points of the mostly submerged continent of Zealandia still above sea level. It’s an achievement to even get there. A 700+ km flight from Sydney to Lord Howe Island in a small plane that, depending on wind and weather conditions, may or may not be able to land. Then a 23 km boat journey that, depending on wind and weather conditions, may or may not actually depart as scheduled. Once you’re on the boat, it’s easy. Unless you suffer from seasickness, in which case the hardest part of the trip is NOW! Is it possible to have TOO much limestone?? If you’re not sure, head down south and drive the Nullarbor Plain skirting the Great Australian Bight. There’s nothing much between the road on the southern edge of Australia and Antarctica – except the majestic Bunda cliffs, ranging from 60 – 120 metres high and stretching for ~100 km. That makes them the longest unbroken line of sea cliffs in the WORLD! If that’s not quite enough limestone for you, then factor in the 270,000 km² of the Nullarbor Plain itself – World’s largest limestone karst formation! Mount Moffatt, 220 km north of Mitchell, part of the Carnarvon National Park and containing Queensland’s highest plateau (the Consuelo Tableland) is worth the long drive – and the flat tyre we got the instant we drove into the park many years ago! Its remoteness made it the ideal hideout for the bushrangers, including the violent Kenniff brothers and notorious cattle duffer Harry Redford (sometimes known as Captain Starlight), who operated in the area. And the local Bidjara people, who refused to be ousted from their land, left a legacy of rock imagery throughout the park. But it’s the sandstone formations we came to see – an awesome array of arches, ‘chimneys’ and monoliths scattered decoratively around the park. There’s no doubt about it – these rocks ROCK! That’s just a sample – and I bet I’ve missed YOUR favourite HOT Australian Rock Formations! Tell me below!! « Basalt, Birds and Balls Pyramid! I want to visit this amazing rock show but I’m waiting for you to organize a bus tour. If you narrate of course. There are definitely some cool rock sites here. So diverse down under . You got that right, Mrs T! Aussie rocks ROCK!! I’ve been trying to figure out why your photos are Not Safe for Work (NSW). New South Wales must be a very naughty place…. Oh Wait…..
Hahahaha! Maybe I should run an acronym competition – sometimes the overseas interpretations can be hilarious!!! But maybe those pix really AREN’T safe for work?!?! You are AMAZING. No, really! Haha, Lizzy you are WAY too kind! But hey! Come back ANYTIME with comments like that 😀 Happy New Year! Hi Red, have just enjoyed catching up on many missed posts.. It’s been pretty hectic around here lately am just getting myself sorted.. As much as is possible 🙂 I’ve missed seeing your excellent shots of our unique landscapes, looks like you’ve been pretty busy yourself, so what are you up to these days, are you traveling as much as always ? SO great to ‘see’ you here, Grace! Getting ones-self sorted can be tricky 😀 Look forward to ‘catching up’ more often in 2015 – I’ve had some ups (book!) and downs (family issues AND a monster bushfire) to deal with, but hope to hit the road again in 2015!! Happy New Year! A great theme. I’ve seen a few of them but You have given me inspiration to visit some more. You got that right, girlfriend! Nothing beats rocks for drama and pure awesomeness!! See? I’ve run out of descriptive phrases! Absolutely stunning! I didn’t realize there were such beautiful rocks at Narrabri – that’s not far from where I grew up. In terms of dramatic impact and photographic potential, the Sawn Rocks have got to be right up there! Especially if you chance it with the sun in the right place and the light & shade working their magic! The glacier rocks on the Bingara Road are pretty good too – although not as stunning. Hope you get to see them one day, Yum! Astonishing and gorgeous, Red! Especially the snake…viewed from a distance, of course. Haha, the snake stood out amongst all those rocks 😀 It might LOOK as if I’m close to it, but whoever invented the zoom lens deserves a medal, I say! We have some beautiful rocks and cliffs in Australia, if only we could see everyone of them. They each are so very different. I haven’t seen all of them either, M, but I’m giving it a RED HOT go! G’day Red! some FAB-u-LOUS shots here m’girl! I’ve seen the Sawn Rocks, Chillogoe Caves and rock, Tas pavement, and Mt Moffatt but none of the others! Perhaps one day I shall remedy that. Wherever you and Pilchard will be for Christmas – have a merry one and a blessed one lovely lady. Happy travels and keep behind that lens hey! Thank you Rose! It was SO hard to narrow it down to 12! I’m sure you’ve seen some beauties that I haven’t!! I hope they inspire your 2015 travels – see you on the road somewhere, perhaps??!! Have a lovely Christmas too!! The old geologist that still lurks within me really enjoyed seeing these. And the angles and lighting you’ve chosen show them all to great effect. Have an excellent Christmas. Thank you John!! If I had my time over, I may well have become a geologist!! As for angles and lighting … well, all I can say is that you can probably pick my earlier shots 😀 I’m sure our Christmas experiences will be different (yours may well be white) – and similar (will you be eating and drinking FAR too much too?). Have a good one too! Looking at all these rocks makes me fall in love with my country all over again. They’re so beautiful. River – If I’d included ALL the great ROCK spots in OZ, they would have filled up a whole blog – not just a post!! That’s one thing we’ve got in abundance!!! I just can’t believe that they exist in the real world – amazing shapes and stripes! Nature is not same in the world. I’m used to mild forests like Mt. Takao, but they are just part of nature. Australian Rocks are breathtaking!! Kozue, I hope you can see our Aussie rocks for yourself one day! It IS amazing how different the natural attractions are between countries – but I’m sure there are also a few things in common!! Have a wonderful end-of-year! We certainly have some amazing rocks in Australia. You could add in there the Bungle Bungles (Purnululu) in Western Australia. We have lots of huge granite rocks around the Western Australian wheatbelt – great for free camping! The Sawn Rocks (which I haven’t seen) are like the Organ Pipes in the Gawler Ranges National Park in SA. Yep, Australian rocks! Wishing you a fabulous Aussie Christmas Red. Jill – we came close to Purnululu on our last trip to WA, but didn’t go there for various reasons. It’s SO on our list for next time!! I know there’s a treat waiting in the WA wheatbelt – Wave Rock for starters – and the Gawler Ranges always beckon. Soon, soon … Have a marvellous Christmas yourself! Amazing rocks! I have seen a few of these and have similar photos. Sawn Rocks are truly remarkable. I don’t think I’ve ever seen anything like those. Australia does rock! Haha, Kathy! I bet I have the ‘same’ photos as a lot of people who’ve been to the same places!!! It’s funny – when I revisited some places and taken ‘new’ photos, they’re remarkably similar to the first lot!! ROCK on! As always a brilliant selection of the rock highlights in Aus. Hey Fun60! I hope there’s a few new ones for your next trip downunder! Victoria has its own organ pipes and I seem to recall they are more circular, tube shaped that is. “I HOPE it’s a Python!” Death by compression is slower than by venom. The Gap at Sydney’s Watson Bay has a large scale version of the tessellated rocks. Australia rocks! I’d like to see a 3 metre python try to compress ME!! A venomous snake on the other hand … I’ve yet to see the Vic organ pipes – there are others as well, but I’ve only seen the Narrabri ones. Same with the Tessellated Pavement – stay tuned!! Or should I say ROCK ON??! !